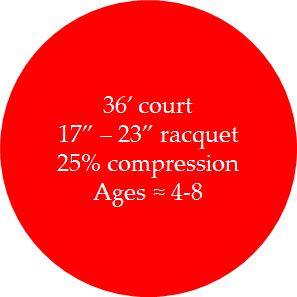 Our Red Ball program is a fun introduction to tennis for any child. This program builds the foundation to be a high performance player. We develop the fundamentals of tennis, such as hand-eye coordination and basic footwork patterns, in a friendly, fun, and safe environment. Our Red Ball levels start for beginners and progress through competitive Red Ball players. Our Green Ball program is designed for players looking to take their game to the next level. 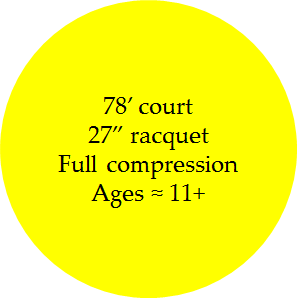 This phase is the critical transition from 10 and Under Tennis to full Yellow Ball. Players are invited to join this program based on their passion and work ethic. We work with players and parents to track performance goals and achievement. We utilize video stroke analysis. All players must have a USTA membership, as tournament play is a cornerstone of the program. We also have fun! Yellow Ball is for graduates of the Red/Orange/Green Ball progression. We work with these elite juniors through high school to continue to develop the physical skills and mental conditioning to achieve potential. By appointment. Please contact Matt. We have partnered with the Dynamic Athlete Performance Academy (DAPA) to help further the athletic development of our tennis players. DAPA's accomplished trainers are focused on injury prevention (pre-hab), athletic performance, and overall physical wellness. DAPA fitness training is offered in our Match Preparation sessions on Saturdays, and as private lessons by appointment. Learn more about DAPA.